This tutorial continues where the last tutorial left of. If you did that tutorial you can continue with your code base or you can just download my project here instead. First we’ll create a easy “hello world” Connect IQ unit test to get us started. 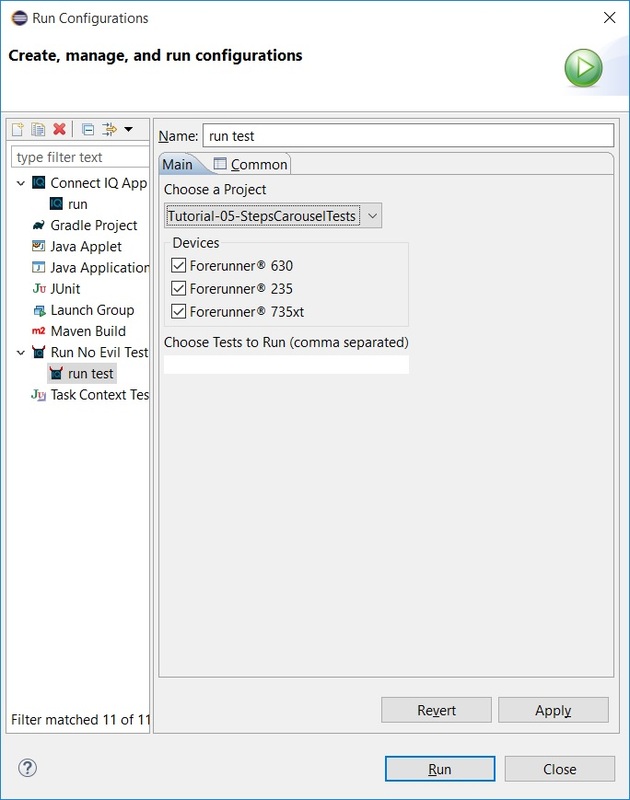 Since Connect IQ 2.3.1 it is possible to run unit tests from within the eclipse editor (in previous versions we had to rely on the command line). 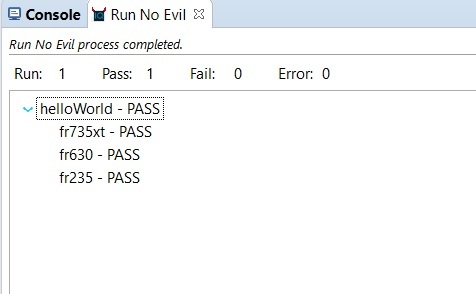 Now we only have to run the test, click the run button! You’ll see several simulators flash by and when finished you see the results in the run no evil box, you can drill into the details by clicking on the “>” icon. In the next tutorial we’ll learn how to create unit tests which actually evaluate business logic.